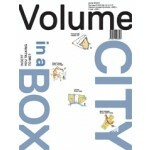 Everything you always wanted to know about privatized cities but didn’t know who to ask. 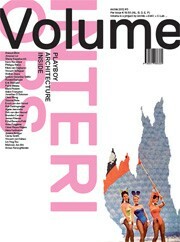 Volume presents the latest in New Town development: the city as enterprise. With the exponential growth of urban populations, thousands of new towns and city extensions will be needed in the near future. While governments are seemingly in retreat, the private sector has stepped up to fill the gap. Private-sector development is nothing new, but scale and ambition are on the rise. Single companies now vie to build entire cities, and package their services so that their product can be replicated elsewhere. To tackle this complexity – of building whole cities from scratch – new organizational models are being drafted, financial tools invented, and the dynamic between client, investor, developer, designer, builder, and end-user is fundamentally shifting. Meet the people driving and managing these multibillion dollar projects, directors from Cisco, Gale International, Landor, KPF, and Living PlanIT, the City Manager of Lavasa (India), the urban technology consultant. And read those who put these efforts into perspective. Meet the people driving and managing these multibillion dollar projects, directors from Cisco, Gale International, Landor, KPF, and Living PlanIT, the City Manager of Lavasa (India), the urban technology consultant. And read those who put these efforts into perspective: Usman Haque, Hans de Jonge, Todd Reisz, Michelle Provoost, Wouter Vanstiphout, Dan Hill, Jonathan D. Solomon, Malkit Shoshan, Michèle Champagne, ARE + Chiara Quinzii Diego Terna Architecture, Yvonne van Remmen, Edwin Hans, Rachel Keeton, Paul Kroese and Marijntje Denters. 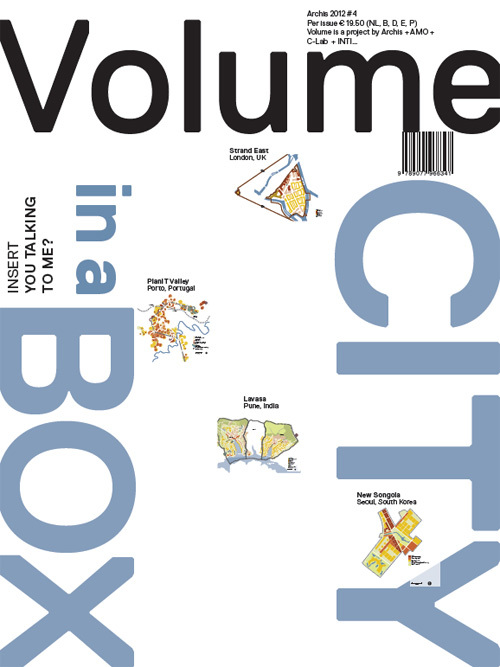 Volume 34 includes an insert by Bik van der Pol & 98 weeks on the reality of public space in Beirut as seen through the eyes of taxi drivers.